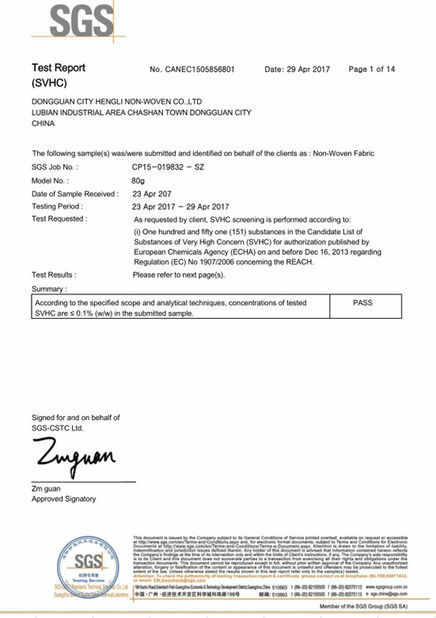 Quality Control - Dongguan Hengli Nonwoven Fabric Co., Ltd.
Hengli has strict quality control procedures to ensure the product goes to customers packing perfectly and functioning competitively. The coming material is carefully inspected and chosen. 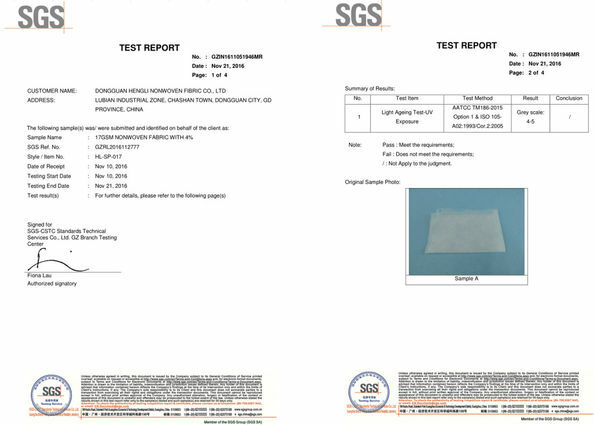 Our QC team will follow up carefully the thickness, uniformity and color of the material. Through producing Nonwoven Fabric, they will carefully check the weight, the color, the tension, the uniformity. We will ensure everything of the products meet customers’ request before shipping. 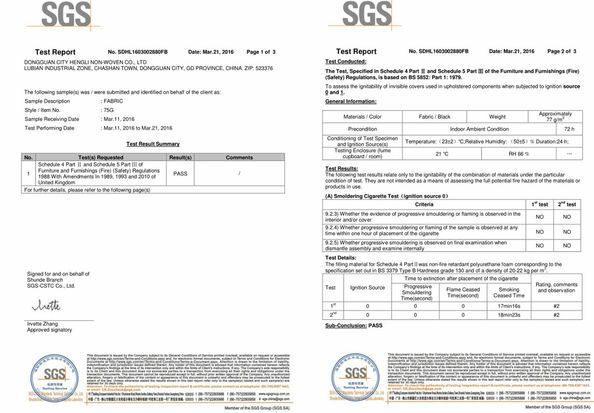 Hengli has all its products certified with SGS.